A facial cream rich in Vitamins E and C, potent antioxidants that protect the skin from the aging environmental influences. A perfect nutritious solution to help rejuvenate tired, stressed skin, by replenishing the moisture loss and easing the appearance of aging. Apply as needed to the face and neck throughout the day. Water, Caprylic/Capric Triglyceride, Tocopheryl Acetate, Glyceryl Stearate,Diglycerin, Isostearyl Behenate, Tetrahexyldecyl Ascorbate,Butyrospermum Parkii (Shea Butter), Panthenol, Oryza Sativa (Rice) BranExtract (Tocotrienols), Tocopherol, Aloe Barbadensis Leaf Juice, AlgaeExtract, Bisabolol, Ginkgo Biloba Extract, Rosa Canina (Dog Rose) Hip Seed Oil, Avena Sativa (Oat) Extract, ViolaTricolor (Pansy) Extract, Sodium Hyaluronate, Glycolipids, Stearyl Glycyrrhetinate, Retinyl Palmitate,Cholecalciferol, Glycerin, Glyceryl Pblyacrylate, Dimethicone, Cetyl Alcohol, Cetearyl Alcohol, Ceteareth-2O,Caprylyl Methicone, Carbomer, PEG-1OO Stearate, Tromethamine, Phenoxyethanol, Methylparaben,Propylparaben, Ethylparaben, Butylparaben, Fragrance, Tetrasodium EDTA. I was looking for a new moisturizer to replace a PerriconeMD product (have been using PerriconeMD for several years and wanted to try something new) I have used other Skin Medica products (TNS Recovery Complex, Lytera, .5 Retinol Complex , ABH/BHA Exfoliating Cleanser and the Facial Cleanser). Happy with all of them! What I like about this is that it has no SPF (which is to greasy for my face). It is lightweight, non greasy, absorbs quickly, and provides enough moisturization. I will definately purchase again! I bought this based on the excellent reviews by the Cosmetics Cop at Beautypedia. It might have good ingredients, but I didn't like how it made my skin look. I have dry skin and didn't find this hydrating enough. It goes on thick but in the morning when I washed my face it was like I'd had no moisturizer on it. Also I found the smell unbearable and strong. It has fragrance added, which is bad for your skin anyway, but it smells medicinal not pleasant. I can't believe someone purposefully added that scent. This is a nice general nightly moisturizer for dry skin. But, after using it for about 3 weeks, I didn't find it "did" anything extraordinary for me and I don't like it as well as other products I've used. However, I DO like the packaging, tube instead of jar. If you want something versatile and reasonably nice (esp for travel), get this. If you want something more effective for ageing or wrinkles, move on. I was not a fan of this cream. I did an experiment and only used it on my forehead, sure enough a few tiny breakouts appeared. They really push this product at the dermatologist so I was pretty surprised by the results. I also tend to like something heavier to really quench my skin all day long. Perhaps it just wasn't for me, but I really wasn't a fan. It was a blind purchase, as I have never used this brand before. I found the price for this volume attractive enough to give it a chance.This is a very mousturizing but at the same time very light texture that does not clog my pores as most other creams. And my oily skin does not get oilier. It has lots of skin friendly ingridients and I can see how they work. I use it over night, because for the daytime my skin would be too shiny and anyway it has no spf. My skin is often irritated and this product has managed to balance it. I apply it even under my eyes because it perfectly smoothes those fine lines caused by dryness! I do not regret this purchase and will buy it again. 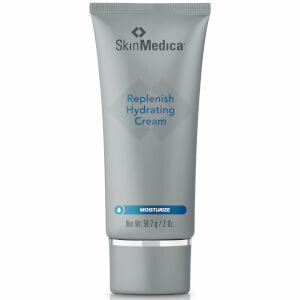 This is one of my favorite creams by Skin Medica, although I like all their products. This is very moisturizing, but not too heavy, and leaves the skin ever so soft and bright looking. I will never stop using this and most of their products. Great smell too. 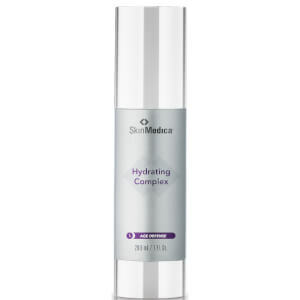 I used SkinMedica's Daily Moisture, and LOVED IT, before they changed it and added SPF to it. I switched to this moisturizer, I have been very happy with this also. It softens my skin, and doesn't clog my pores. It does what it is suppose to. I am a male with very sensitive skin. Most moisturizers make my skin turn red. This mositurizer is very soothing and didn't irritate my skin. It does have a slight fragrance that goes away after a few minutes. I had been looking for a moisturizer to fit the ever changing needs of a female. One's face changes over the years you know... Anyway, I found the perfect solution. Light but effective! I've been using this product for 2 years and it's wonderful! If you've been searching and you haven't given this a try I seriously recommend it.